Ivy has just recently turned three (I don't know where the time has gone!) and she is a major fan of the movie Frozen. So of course it made sense to throw her a Frozen themed birthday party and to make sure that she had some Frozen inspired gifts to open. 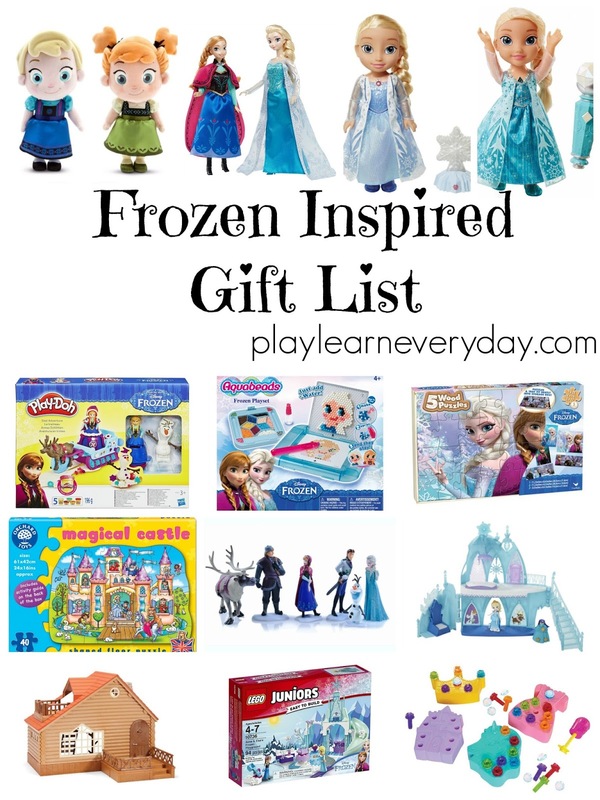 Now Ivy has quite a few Frozen toys already, so I had to get a little bit creative and find some toys that she would enjoy because they include Anna and Elsa or because they could be played with in similar ways. 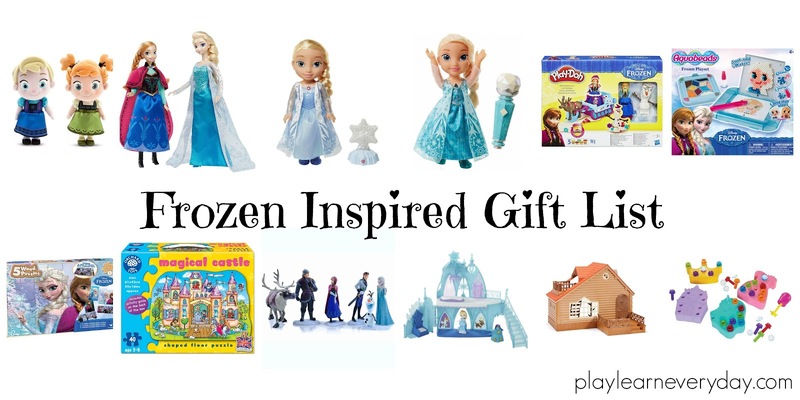 We also love open ended toys and toys that inspire creativity, so that's what we've gone for on our list. If you ask Ivy what she would like for any upcoming occasion she will always say a 'Let it Go' doll (that's what she calls Frozen). So we've got a nice little collection already! They're great for imaginative play and of course lots of singing of her favourite songs from the film. Now because Ivy loves Frozen so much she also loves to make anything to do with the film (our house is literally covered in Anna and Elsa stickers!) so we've found some cute crafty sets for her as well, which she is always happy to pull out and play with again and again. Aquabeads are fantastic for creativity and for fine motor control. This set is great because it's a theme that Ivy loves, she can make Anna and Elsa out of Aquabeads, it keeps her focused and busy for ages carefully placing each of the beads on the corresponding colour spot on the template. She does need a little bit of help still as she's slightly younger than the recommended age group, but she absolutely loves it. And she's so proud to show off her finished creations! 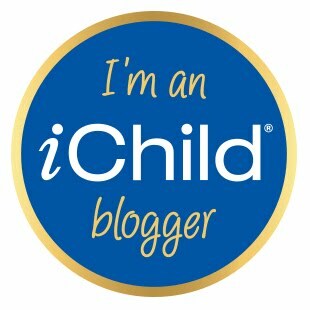 We've been sticking magnets on the back so she can display them on the fridge. We are loving this Magical Castle puzzle from Orchard Toys, there are so many little details in the puzzle that it makes it easier to spot the piece that you need next. It's a great way to teach Ivy about observational skills and how things fit together. She's really enjoying the one on one time with a grown up building this puzzle together, it's great bonding time and teaching her about team work. There are also fun learning questions on the back of the box to build on their observational and communication skills about what they see in the puzzle. We are big Sylvanian Families fans, so not only will this Log Cabin fit in with our other Sylvanian toys it can also be a part of our Frozen small world play. We've got a collection of little Frozen figures that fit in this cabin perfectly, and it just reminds me of the shop where Anna goes to buy some winter supplies, so we use it as that. The kids have also made it into a home for Anna and Kristoff after the action of the movie. It's got a balcony at the top to watch the northern lights and adorable little hammocks inside to sleep on. The perfect addition to any small world play. Ivy absolutely loves building things and putting things together (and taking them apart!) So this set is ideal for her, she loves playing with the little screwdriver to put the sparkly bolts into the crown, castle, gown and unicorn. She can design them in different colours, make patterns or just be creative. It's great for her fine motor control and building up the strength in her hands as well. The perfect toy to pull out on a rainy day to keep little hands busy and happy. 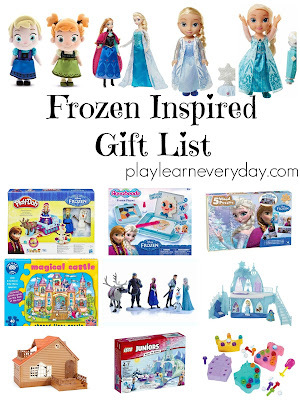 What other Frozen or Frozen inspired toys do your little ones like? I would love some more ideas!